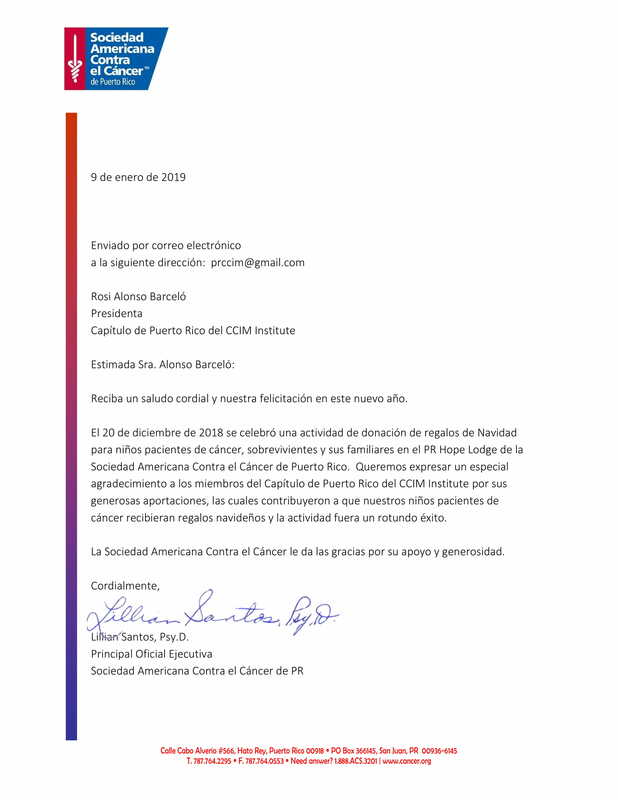 Members of The Puerto Rico Chapter of the CCIM Institute raised funds to purchase toys for children (and their siblings) undergoing cancer treatment at the Puerto Rico Hope Lodge. Members voluntarily donated money and funds and we were gratefully able to fulfill the children’s wish list. You can view a larger version of this PDF, or download it here!